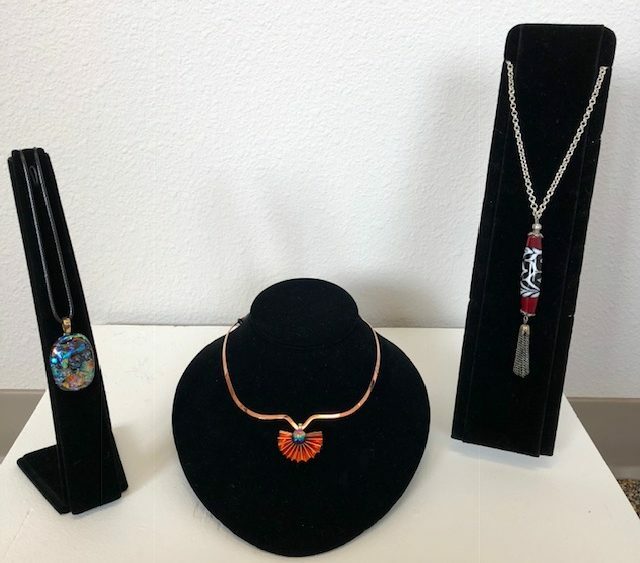 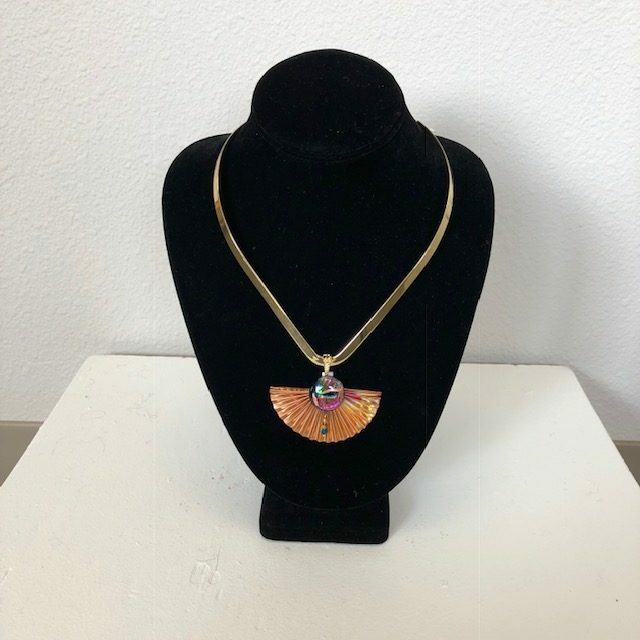 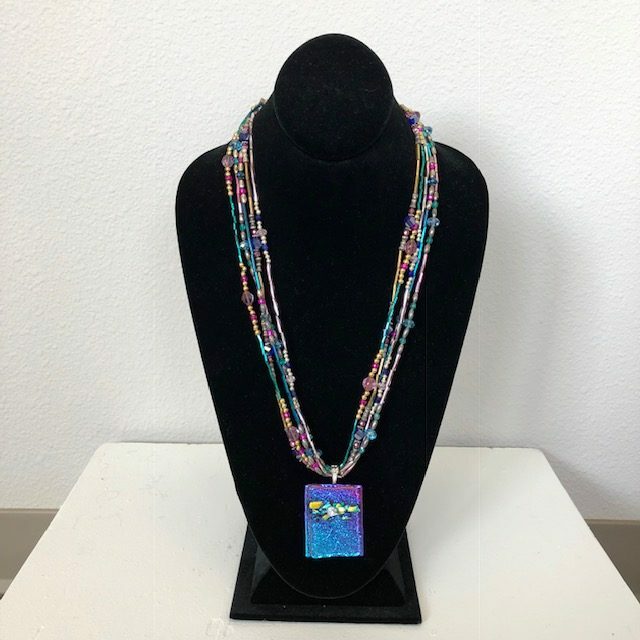 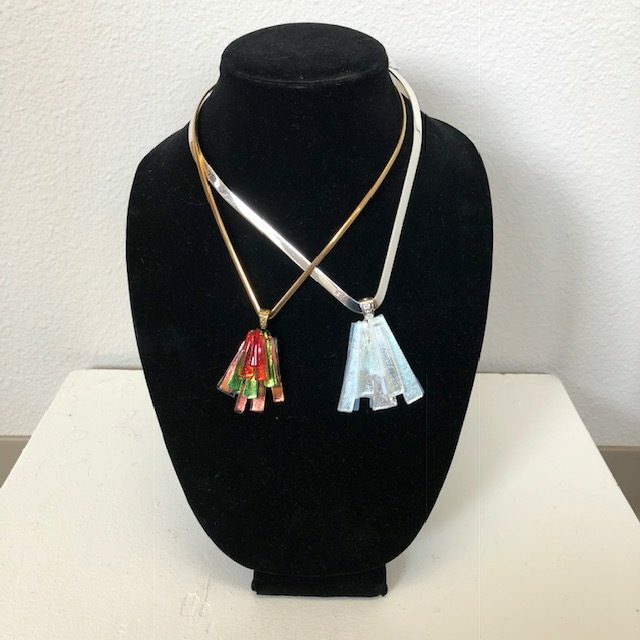 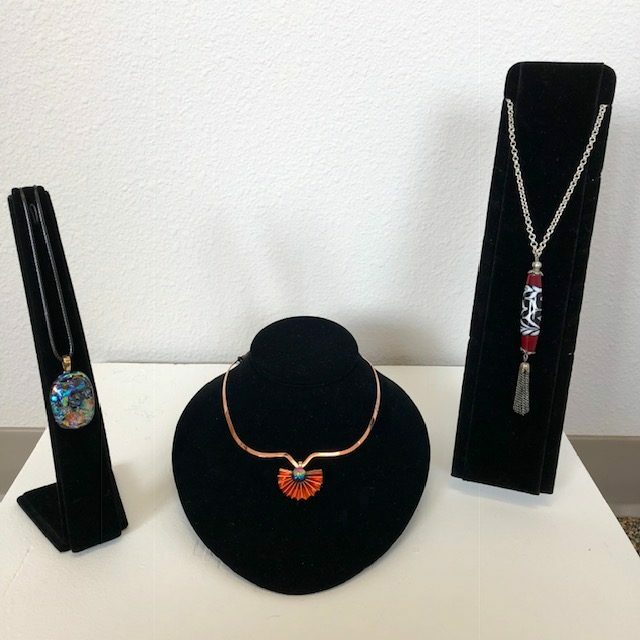 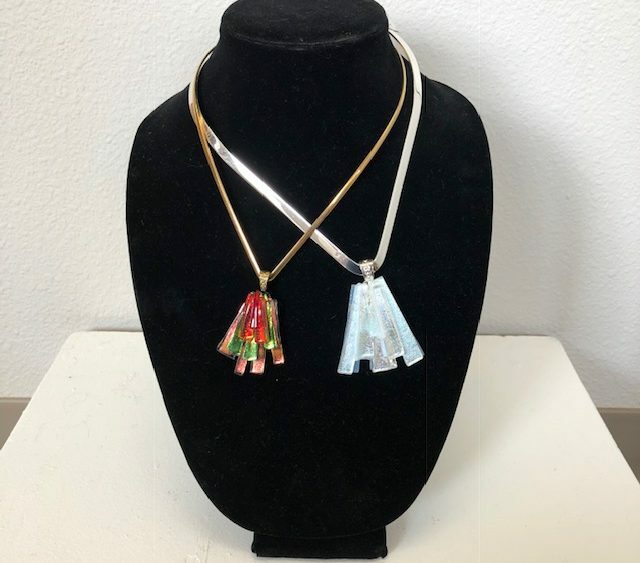 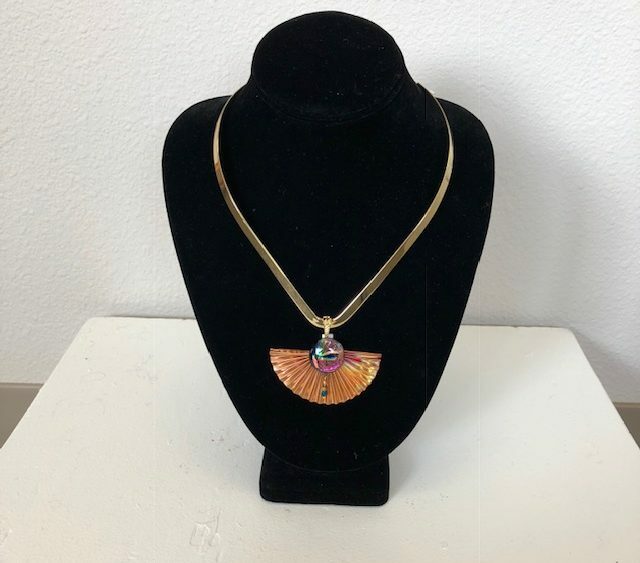 November 2018’s featured artist is Dianne Beauregard, a local dichroic glass jewelry artist! 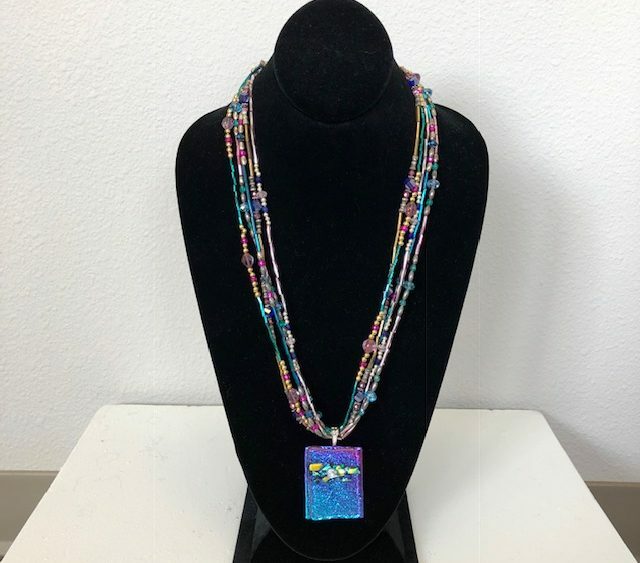 “Dianne Beauregard enjoys creating ‘one-of-a-kind’ dichroic glass jewelry that shows as miniature pieces of art. 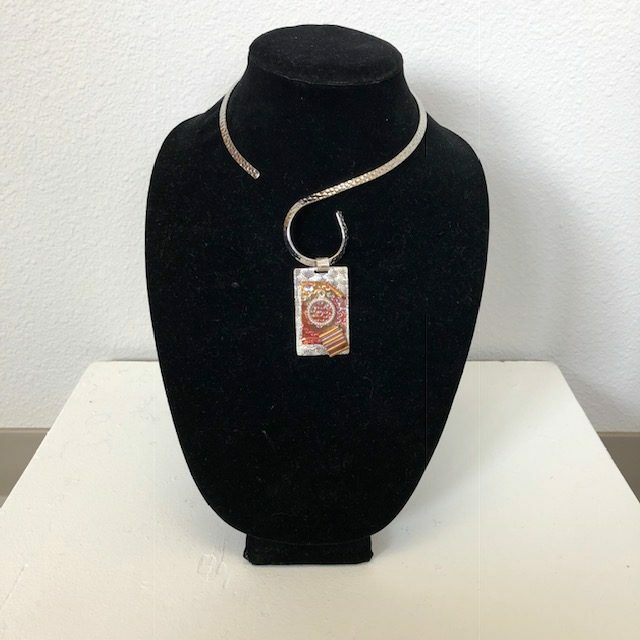 She combines imagination and knowledge as various types of glass are cut and layered. 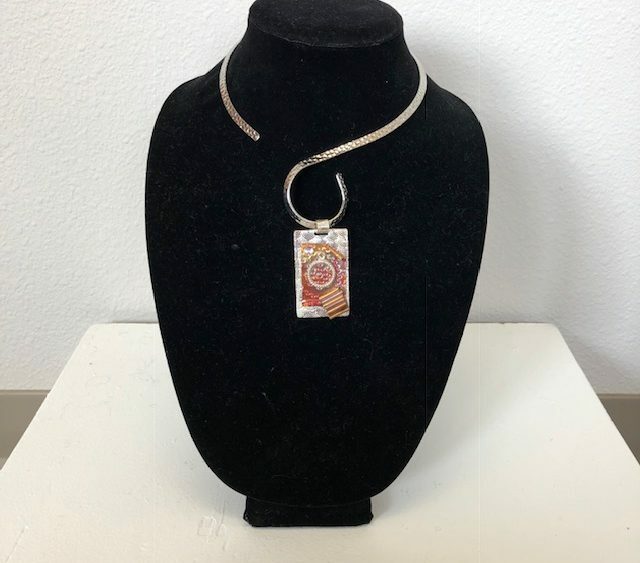 Flowing with the glass and watching what it has to say is primary in the creative process.